Global - Fixed Aldaris portrait being displayed incorrectly during briefings. 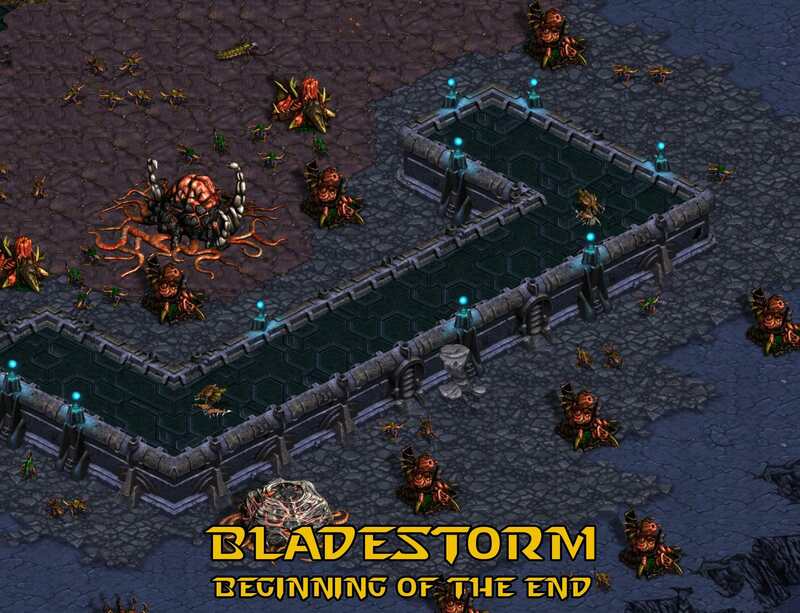 Zerg 06 - Now player is allowed to produce Nydus Canals, Hives and Scourge. Zerg 07 - Now player is allowed to produce Nydus Canals and Hives. xTerran 04 - Now yellow AI will correctly build his main and expands. xZerg 07 - Difficulty decreased. xZerg 08 - Fixed hostile heroes labels. Global - Mod updated for compatibility for last game version. 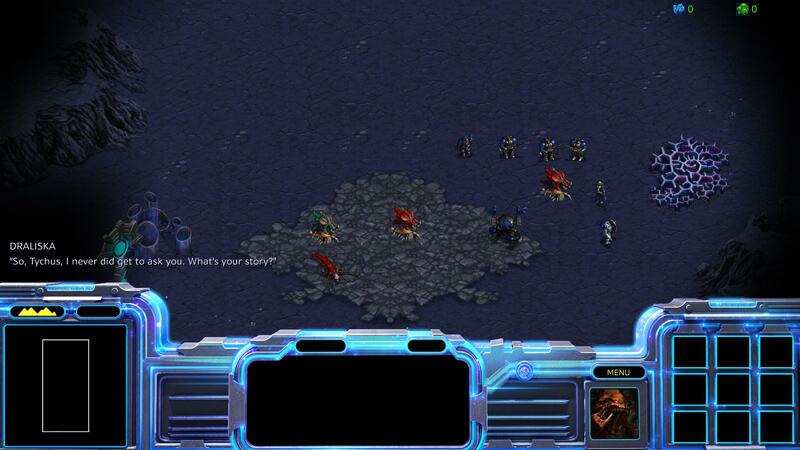 Protoss 02 - Allied AI added, new mission dialogue lines added. 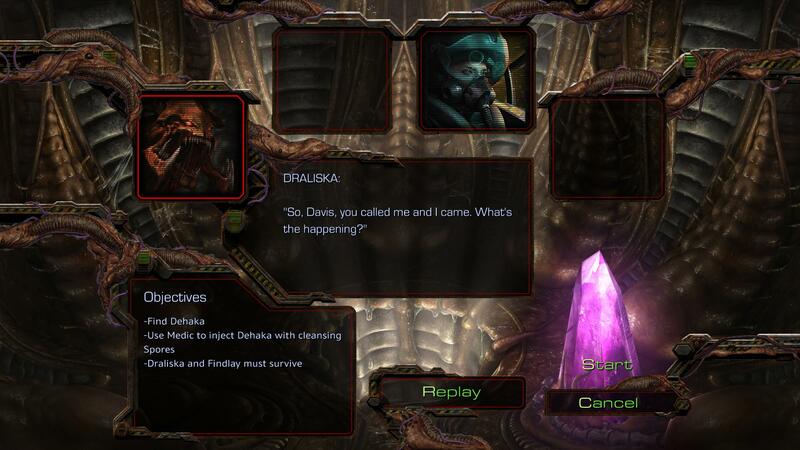 Protoss 03 - Allied AI added, new mission dialogue lines added. Post has been edited 1 time(s), last time on Dec 16 2018, 5:29 pm by UEDCommander. Bugfix and new features update, including fixing some issues which were brought to my attention by DK's playthrough. Global - Decreased damage and increased HP of the Bulwark Company Goliaths. Terran 08 - Fixed multiple issues with Draliska's Leviathan. Terran 10 - Fixed multiple issues with Draliska's Leviathan. xTerran 1 - UED forces now use correct color scheme. xTerran 7 - Starting Goliaths were replaced with Spartan Company. xTerran 8 - Decreased AI difficulty. Decreased frequency of AI's ability usage. Periodical attacks will now be commenced by player's allies. xZerg 2 - Zasz's team color is now displayed correctly. xZerg 5 - Outro sequience altered. There's currently a bug which doesn't allow to save or load your progress during the mission. It is affecting all 1.22+ custom campaigns which utilize modding. Fix will be available as soon as possible. Other features should also work fine. UPD: Well, maybe the game itself will not work at all as well. Thanks to another "small" update for R.
Post has been edited 1 time(s), last time on Dec 19 2018, 2:36 pm by UEDCommander. Version & bugfix update, to be compatiable with new version of SCR (seriously though, pervious one was two days ago, what's wrong with them) as well as repair some old issues. Global - Fixed bug with Set Rally Point button being displayed for Primal structures. Global - Fixed bug with UED Spartan's not being equipped with Charon Boosters. Global - Fixed bug with Mengsk having low selection priority because of his unit rank. Terran 10 - Fixed issue with Draliska's transmission coming from a wrong source. xZerg 5a - Fixed issue with AI not starting after the intro cutscene. xZerg 5 - Fixed issue with Draliska's Leviathan not warping out correctly. The last patch of this year! Well, for some people who live on East it will be first of new year. Global - Added new icons for several Primal Zerg upgrades. Global - Fixed bug with Terran AI's occasionally going idle after some time. Global - Flixed bug with Zerg Hatcheries not being able to spawn larvae after producing Drones. Protoss 08 - Fixed issue with Crusader attack initiating prematurely when player loaded the saved game. Terran 10 - Fixed bug which allowed player to continue playing in case of Draliska's death. xZerg 1 - Rescuable base replaced with allied AI. xZerg 5 - Allied AI added. Heymen. It is time for a new update, and, as i promised, it brings you the last campaign of Alternate primary series - The Lord of Fire. Of course, this doesn't mean the end of support for Brood War Alternate. I will continue releasing patches and fixes, and, at some point in the future, will expand the story even further in co-op episodes, which will be placed before, after and alongside the main events of the campaign, providing new gameplay experience with even more custom tech trees for various factions, as well as showing the events which were poorly covered or only mentioned in the six main episodes. Unlike certain development company, i care about that sort of stuff. Global - A new episode - The Lord of Fire - has now been released. The enemies from distant core regions of the galaxy are now in total control over the Koprulu sector, and there's almost no one capable of opposing them. Even with all what's left of the Protoss, Zerg and Terran armies combined, the battle will be very, very far from easy. Global - Fixed a bug which caused AI scripts sometimes fail after player loaded a save. Global - Implemented Remastered Framework which fixes misalignments of various HD sprites. Global - Minor changes to all Protoss dialogue lines. Global - Short tooltips added for all Primal units and buildings. Global - Improved Primal Zerg Regeneration rate. Protoss 08 - Added a Warp Gate which now acts as a start point for periodic attacks. Similar mechanic will be represented in several Lord of Fire missions. xTerran 4 - Increased Green AI difficulty. xTerran 7 - Norad II is now capable of using Yamato Gun. xZerg 1 - Briefing dialogue lines changed. xZerg 3 - AI attack & defense patters changed. Post has been edited 1 time(s), last time on Feb 14 2019, 5:37 pm by UEDCommander. Heymanity first. No matter the caws. will expand the story even further in co-op episodes, which will be placed before, after and alongside the main events of the campaign, providing new gameplay experience with even more custom tech trees for various factions, as well as showing the events which were poorly covered or only mentioned in the six main episodes. Unlike certain development company, i care about that sort of stuff. Just to clarify: The current mission set is single player only, but later you will add several coop maps here and there that complement the single player campaign. Right? Yes, sort of like in Mental Omega. Zerg 05 - Fixed incorrect text encoding in briefing. Zerg 08 - Small outro dialogue alteration. Terran 05 - AI personality for Purple fixed, allowed Comsat Station to be constructed by player. Terran 10 - AI attack patterns slightly changed, fixed a bug with Dark Swarm not being available. xTerran 8 - (Presumably?) Fixed a bug with mission not being able to finish correctly. xProtoss 10 - Internal bugfixes. Post has been edited 1 time(s), last time on Mar 5 2019, 3:47 am by UEDCommander. So... do I dare challenge the xTerran 8 map again? Well presumably it works as intended now. Hard to say since i have only a very remote idea of what could cause the issue, but several tests on my part confirmed that it should work. Not like you missed much there anyway. Just one question about the 2nd protoss mission in lord of the fire. WHat the hell is this? How i am supposed to clear out bilions of wardens without reavers or other tech???? This map is not possible to complete.... And what is the point of spore cannon if i CANT rescue them? The most heavily fortified planet in the Koprulu sector. My testers so far proved otherwise. In fact, they consider it the easiest map in Lord of Fire (excluding micro missions). And what is the point of spore cannon if i CANT rescue them? 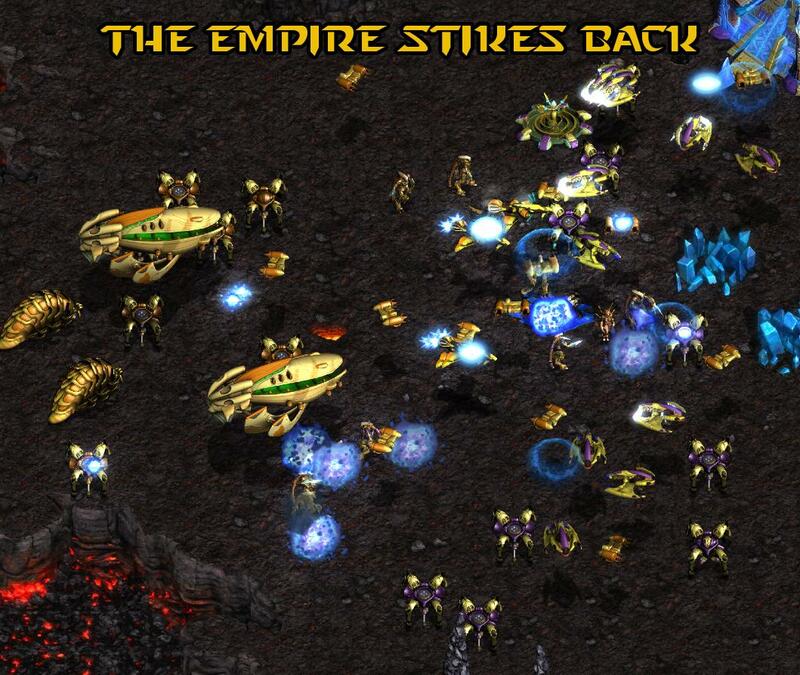 Those are Primal ground-to-space defenses which were had to be shut down for Protoss to be able to land. Don't serve gameplay purposes. There was an update which broke the mod and i didn't even notice, lol. Don't worry, compatibility update is already here. Global - Changes to some of the Primal dialogue lines. Global - Fixed some dialogue misspellings. Protoss 10 - Most of Terran elite units now belong to Red. Terran 02 - Fixed bug with wrong AI being run for the enemy (again). xProtoss 05 - Fixed bug with Dark Archons being available for player. Post has been edited 1 time(s), last time on Mar 16 2019, 4:01 pm by UEDCommander. Maybe not yet, but im pretty sure that soon. This update is being brought up in response to various crash reports, which would seem to come from certain SCR update. Apparently, Alternate has managed to inspire someone into making a fan mission called Reincarnation, which is basically an alternate version of Ressurection IV, made by someone known as Alexey Tabakov. It is not intended to work with BWAlternate mod file, so if you decide to play it, you should launch it like a normal Remastered campaign/UMS map, using default 1.2+ client. Reincarnation can be downloaded here.